Trans-fats – we were told by New York City Mayor Bloomberg – are an exceptional case because even the smallest intake hurts the human body. Ditto, it would seem, of salt and alcohol. But we all knew he wouldn’t stop there. As implied above, the mayor is on the fast track down a slippery slope. How many more “exceptional” products are there going to be? Will French fries be next? Cupcakes of a certain size? We Americans haven’t always made the right decisions, but we’ve always firmly believed in the freedom to make our own decisions – even ones that might be considered “bad”. Vanity Fair’s Julie Weiner notes that there are so many exceptions to Bloomberg’s proposed new law that anyone who wants a sugary soda or a sports drink will still be able to get one – it will just a be a bit more of a hassle. We’ve established that the proposed ban will shrink our freedoms. But will it really shrink our waistlines? Won’t people just go for more refills at the soda machine or order two talls instead of a venti? One of the hallmarks of American law is that all persons and companies – no matter what their religion, race, social standing, economic position, or otherwise – are treated equally under the law. This proposed soda ban, however, blames American obesity on soda even though it is arguably a combination of many foods and beverages, genetics, lack of exercise, etc. Why is it the soda industry that gets punished? Also, the proposed ban on certain beverages is at once overinclusive and underinclusive. Some vendors are exempt from the ban. Others, like movie theaters, are not, and will undoubtedly see a drop in their profits. 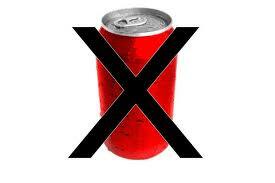 Are sugary drinks really the problem? Are we even that sure on the science behind the “soda as primary obesity causer” theory? You’ll hopefully forgive us for being a bit skeptical of Mayor Bloomberg’s assertion. It was his Health Department, after all, that falsely Photoshopped an advertisement to suggest that soda had caused a man to require amputation of both of his legs. Fortunately, we’re far from the only ones who think the mayor’s proposal is a terrible idea. Twitter is already abuzz with criticism of the proposal. I’ll leave with you some good ones (hat tip Twitchy.com), and the hope that you’ll join the campaign to throw up Mayor Bloomberg’s latest proposal to dictate our individual eating habits. To see how Washington Legal Foundation is fighting to protect our food and beverage freedoms, visit EatingAwayOurFreedoms.org. Is FTC Becoming an All-Purpose Health Care Cost Regulator?